Interested in screening our film or organizing a talk from one of the team members? Looking for more information about the research or the subject? Academic and researcher Ashlee Cunsolo Willox is passionate about the environment and about exploring how our connections to and love of a place shape who we are, how we act, and how we feel. 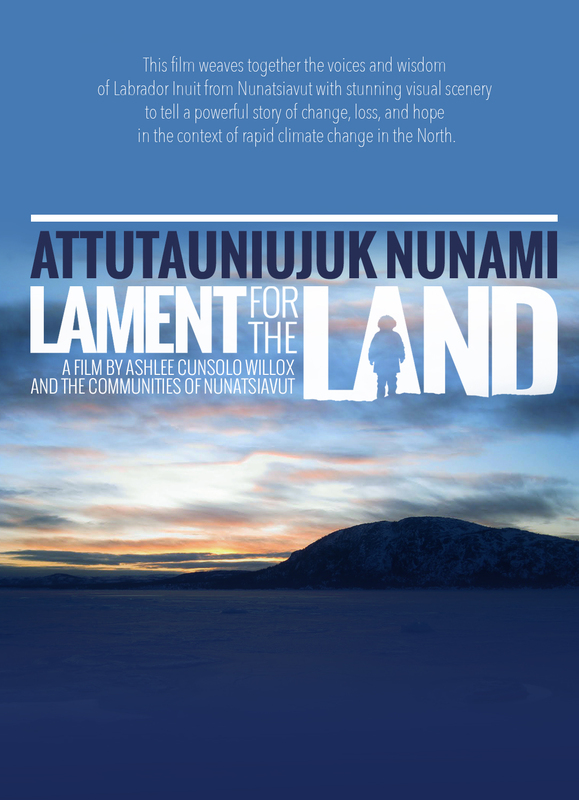 As part of her deep desire to understand the relationships between and among place, culture, health, and environment, Ashlee has been working collaboratively with Inuit colleagues in Nunatsiavut, Labrador to examine how changes in the land, climate, and environment are affecting Inuit livelihoods and cultural activities, and the subsequent impacts to mental health and wellbeing. She holds a Canada Research Chair in Determinants of Healthy Community and an Assistant Professorship in Community Health at Cape Breton University, where she works in the departments of Nursing and Indigenous Studies. Jenni Welsh is a local videographer, editor, photographer, and artist. Originally from Ontario, Jenni found her home in Cape Breton 8 years ago, and has become a mainstay in the music and art scene. Jenni is passionate about sharing stories and ideas through the camera lens and dedicated to mobilizing ideas for social action through community engagement and videography. Jenni was also the fearless editor behind Attutauniujuk Nunami/Lament for the Land. If you are organizing a screening our film for your university or organization, let us know about it and we’ll add it to our calendar.